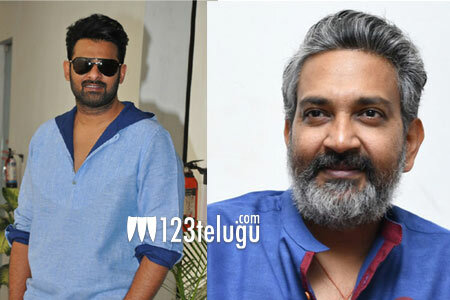 S S Rajamouli and Prabhas share a very special equation and it is their friendship that made Prabhas dedicate 5 years of his life to make Baahubali. The two films went on to mind hundreds of crores at the box-office and Baahubali 2 alone grossed close to Rs 1700 crores across the world. Interestingly, when Rajamouli arrived on the sets of Rana’s new talk show No.1 Yaari with Rana, the two decided to tease Prabhas. In the middle of the show, Rajamouli called Prabhas and said, “Darling, we have to meet urgently.” When Prabhas asked why, Rajamouli said, “Baahubali 3.” Rajamouli’s words stunned Prabhas who was obviously not ready for the project at such short notice. It was all done in good humour and it remains to be seen how the conversation between Rajamouli, Prabhas and Rana unfolded after this. For now, this is all that was unveiled in a teaser of the talk show that’s doing rounds on the internet.